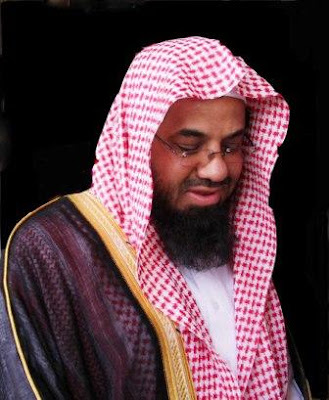 Sheikh Saud Al Shuraim was born in the city of Riyadh in the year 1966. He memorized the Quran by the end of his High School. He did Masters from Imam Muhammad bin Saud University in Riyadh in 1992. He then did his doctorate (PHD) from Umm Al Qurra University in Makkah. In 1992 he was appointed as Imam to Lead Taraweeh Prayers in Masjid Al Haram and since he has been leading permanently. Masha Allah. Wishing him more of Allah's guidance and protection.